Because brand engagement increases around sports, sports’ publishers have tremendous opportunities to monetize their sites. Sports is a unique vertical with a lot of opportunity, but in order to succeed it’s crucial for publishers to pay attention to what the top sports publishers are getting right. Let’s see who they are and what publishers can learn from them. 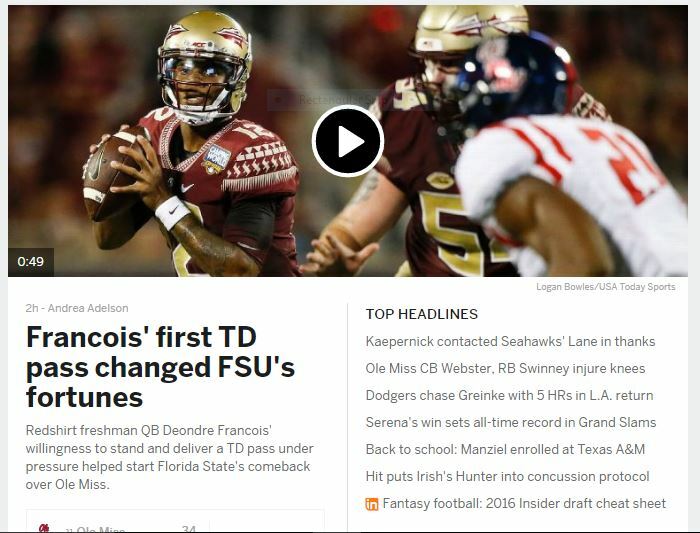 Aside from some of the best content in the industry, what puts ESPN ahead of the game is its top-notch user experience. The site is easy to navigate, loads quickly, and has an elegant layout. Users come back to the site, not just for the content, but for the experience. And when a site gets user experience right, it can dramatically boost revenues. Let’s dig deeper and see what ESPN truly nails. One important thing to notice is how well the site uses video. Not only is video very engaging for ESPN’s audience, but the videos on the site immediately load without taking users to a separate page. In addition, the videos are not just in one “video section” of the site, but are placed seamlessly throughout the site, creating a more interactive and engaging experience. What ESPN really nails is their ad experience. Not only are their ads elegantly and natively placed, but they are relevant and engaging to users. Every video ad I saw on the site offered a product that is relevant to me as a marketer. Further, the third-party content offered on the site interested me as a sports’ enthusiast. When advertising is done right, it can be helpful, rather than a hindrance. Let’s take a look at some screenshots of the site. One of the first important elements to notice is the banner on the bottom right of the page. The banner asks users to download an app to keep up with Raptors news. The site is smart enough to know that since the user is reading an article about the Toronto Raptors, he or she will likely want to read more news about the Raptors. Easy social sharing is vital to Bleacher Report’s success. At the top of the screenshot is a video that offers users plugins to share the article on Facebook and Twitter. In addition, the article includes a Tweet that automatically updates as users “Like” and “Retweet” it. Readers can easily Retweet it and a link back to Bleacher Report will automatically be added to readers’ news feeds giving an additional benefit for the site. There are two crucial elements to notice here that Bleacher Report nails. The first is the ability for users to link to end user profiles. This makes it easier to interact with others on the site and tells readers basic information about the person commenting. 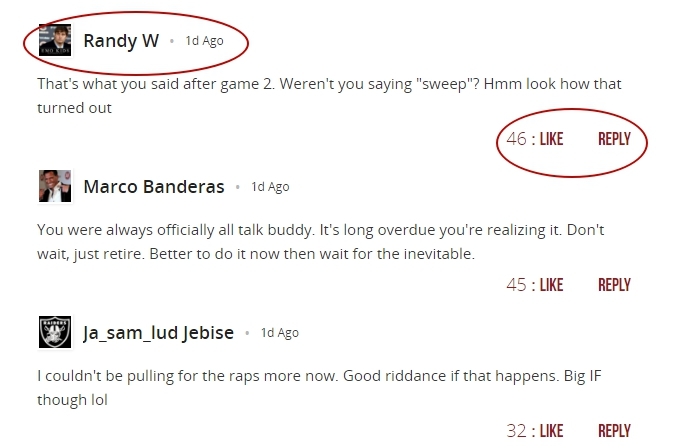 The second element to notice is the ability for readers to rate comments. This keeps readers engaged with others on the site and allows readers to see “Top Comments,” a feature that personally keeps me interested and on the site for longer. 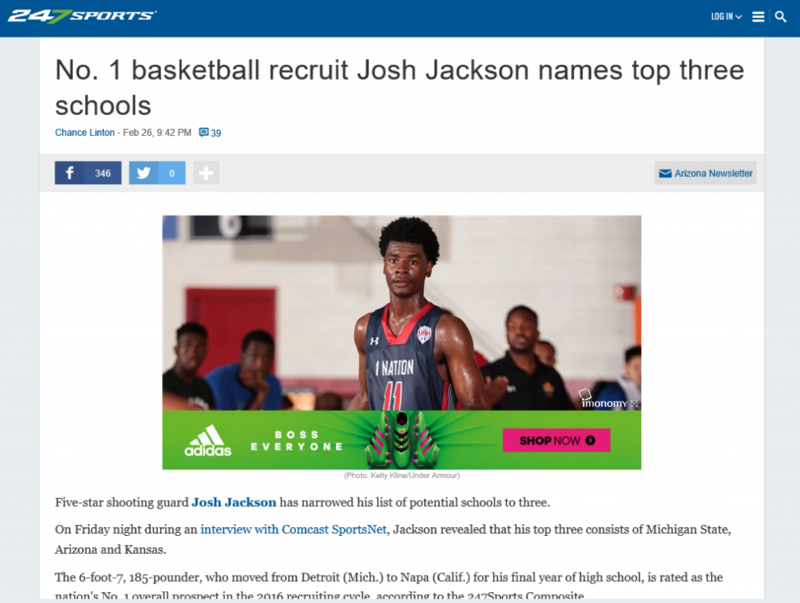 247Sports is a huge sports website that focuses on football and basketball, both on the college and professional level. Specifically, the site offers excellent content on the recruiting process, perhaps some of the best in the sports’ industry. The site gets over 20 million hits a month, mainly in the United States. Another smart monetization tool 247Sports uses is content recommendation. Content recommendation is a powerful monetization tool because, instead of providing ads for a product, the ad format attracts users’ attention by offering free and often valuable content. The ad format is non-intrusive and can drastically increase time-on-site as well as revenues for publishers. For a more detailed and data-oriented explanation of the ad format take a look at our recently published article, Content Recommendation Data Explained. User experience can make or break a website. Quick loading times, easy navigation, and a top-notch ad experience are key for differentiating your site from competitors. The secret to a great ad experience? Native ads that present relevant offers to users. Create a social experience. Integrate your site with social media and build a stellar comments section to ensure high engagement from readers. Utilize smart monetization tools such as in-image advertising and content recommendation, which are both user experience friendly, highly viewable, and use Big Data and contextual analysis to ensure relevant offers for users. I found the article to be interesting and well written.